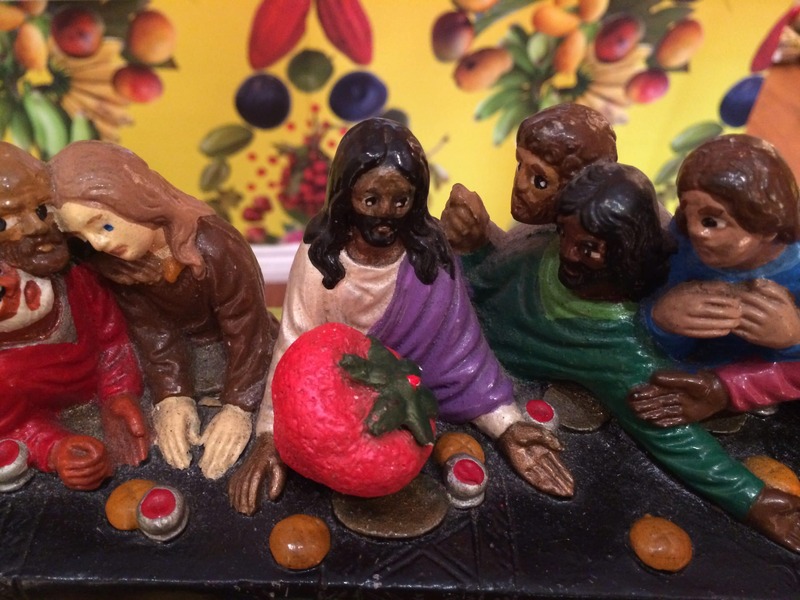 Fallen Fruit – yay 2018! You can also find our wrap scarves at 21c in Louisville and the Cooper Huitt Museum Store in NYC. The residency project for the Skirball Cultural Center focused on Jewish Heritage and in the archives of the institution we discovered a 17th Century Katubah (marriage contract). This historic document was different in that it combined the doctrine of marriage with illustrations of biblical scenes, astrology and a pomegranate. 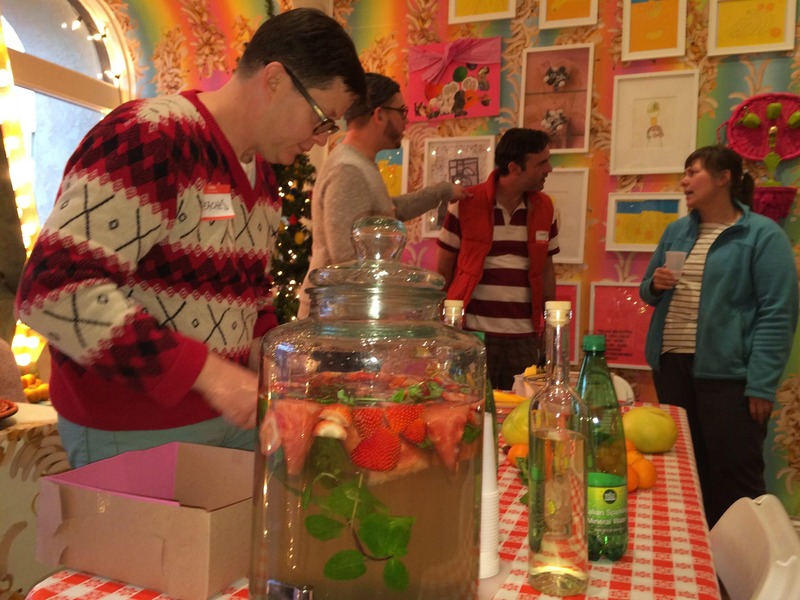 Fallen Fruit created a custom designed Pomegranate wallpaper and invited the public to collaborate on a new commitment document and exhibition. Drawing on submissions of portraits of people with someone they love, Fallen Fruit of the Skirball assembled images that span a lifetime to examine the often complex expressions of love. This exhibition examines the symbolic and narrative moments in everyday life, from friendships to marriage, as well as to nuanced social messages. It includes a Skirball commissioned piece from Fallen Fruit called Love Score, as well as custom-designed Pomegranate wallpaper. 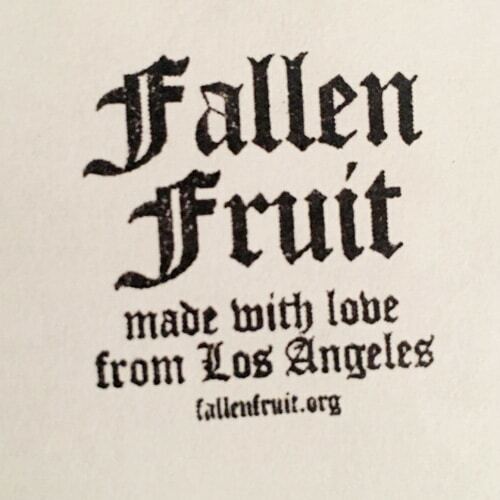 Fallen Fruit distributes free bare-root fruit trees in a variety of urban settings. This year the trees were donated by Skirball Cultural Center and One Colorado. We ask that the fruit trees are planted in public space or on the periphery of private property next to a sidewalk or a road, in order to create new kinds of communal life based on generosity and sharing. Each recipient signs an adoption form promising to care for the tree — initiating a relationship with it. Eventually the trees will become part of a network of Urban Fruit Trails on the Endless Orchard. The Fruit Doesn’t Fall Far From The Tree. An installation of of Peach Wallpaper and installation comprised of public fruit portraits in found frames, historic photographs and selected paintings and sculptures from historic archives of Atlanta; including Hammond’s House, The Souls Grown Deep Foundation, The History Center, The Wren’s Nest and others. All of the works collectively explore the relationship of people and place through the cycles of modern life that span images and works of art from the past 4 generations of Atlantans. 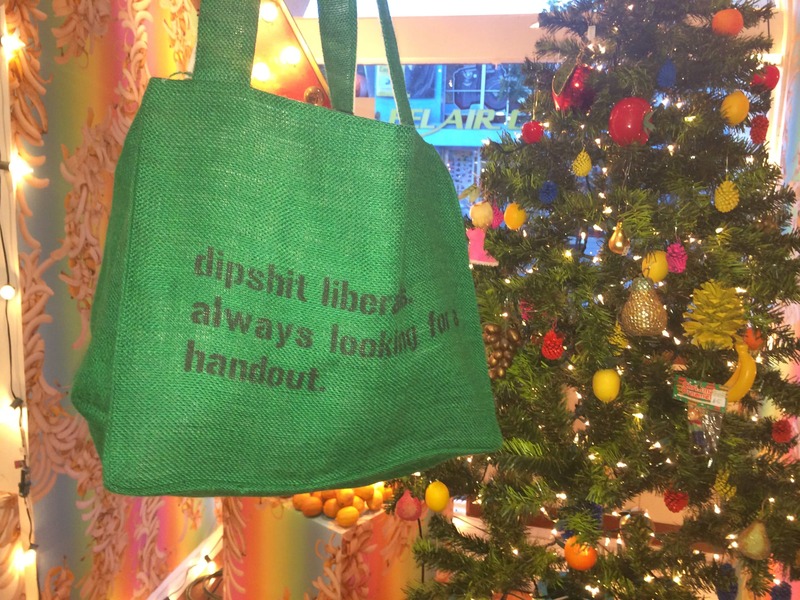 Originally created for Atlanta Contemporary Art Center and curated by Stuart Horodner. Through a grant supporting innovative community focused art projects awarded by the Robert Rauschenberg Foundation in collaboration with the Los Angeles State Historic Park and HOLA Youth, the Urban Fruit Trails is a ground-breaking public art project designed to provide several often overlooked urban communities with public walking trails connected by fruit trees that will be sustained, nurtured and harvested by the public. 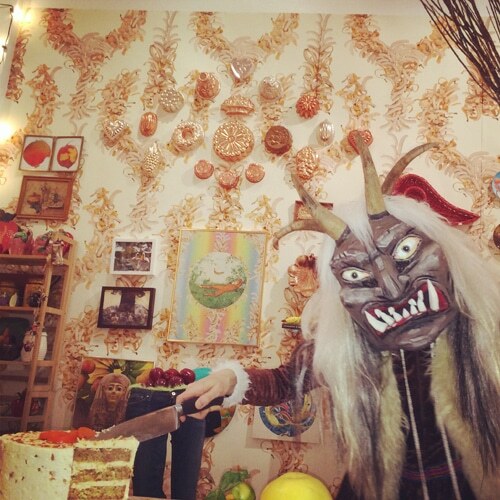 This is the pilot for our upcoming Creative Capital awarded Endless Orchard project. Park to Playa Trail with MRCA, The Coleman Center in Alabama and One Colorado in Old Pasedena. Fallen Fruit invites the public to bring homegrown or street-picked fruit and collaborate with us in making a collective fruit jams. Working without recipes, we ask people to sit with others they do not already know and negotiate what kind of jam to make: if I have lemons and you have figs, we’d make lemon fig jam (with lavender). 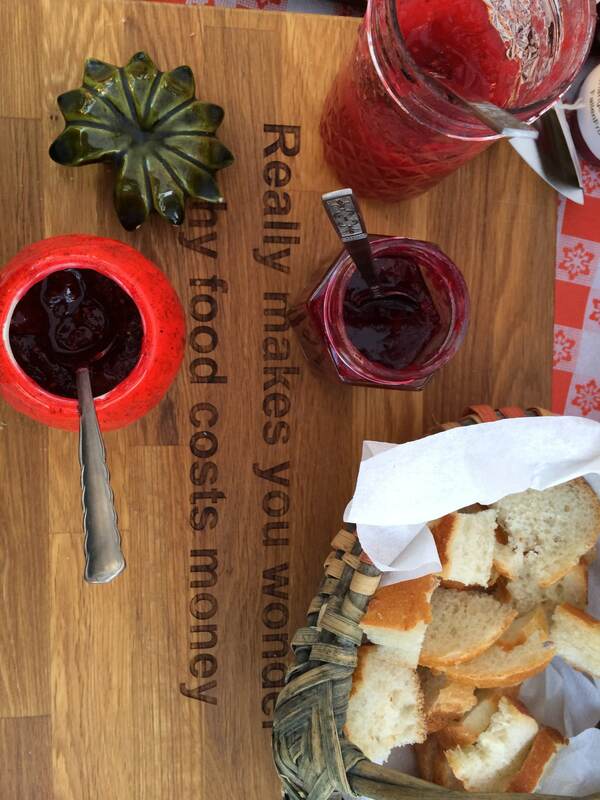 Each jam is a social experiment. This year we brought them to public spaces and in the past we have held them at galleries or museums, this event forefronts the social and public nature of Fallen Fruit’s work, and we consider it a collaboration with the public as well as each other. “Lemonade Stand” – Fallen Fruit , 2014, David Burns and Austin Young a group portrait of Greensboro as Lemons. part of the exhibition Food For Thought. 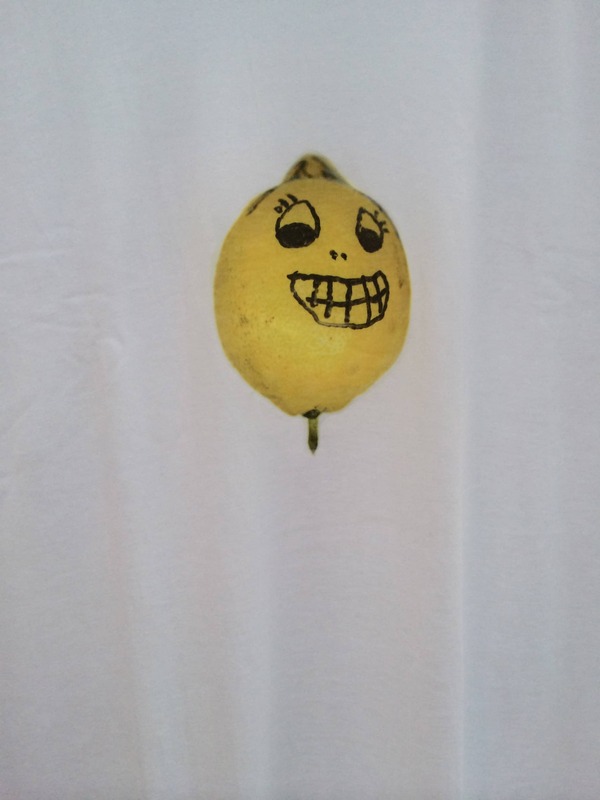 In exchange for a cold glass of lemonade, participants are asked to create self-portraits using black ink markers on lemons and to share stories of sadness and disappointment, or happiness and positive self-reflection. With curator Xandra Eden for the show Food For Thought at the Wheatherspoon Art Museum, we installed the Lemon Selfie’s in vintage frames on top of our Lemon Wallpaper for the exhibition. Our favorite new project, we did 6 ‘Lemonade Stand’s’ this year! 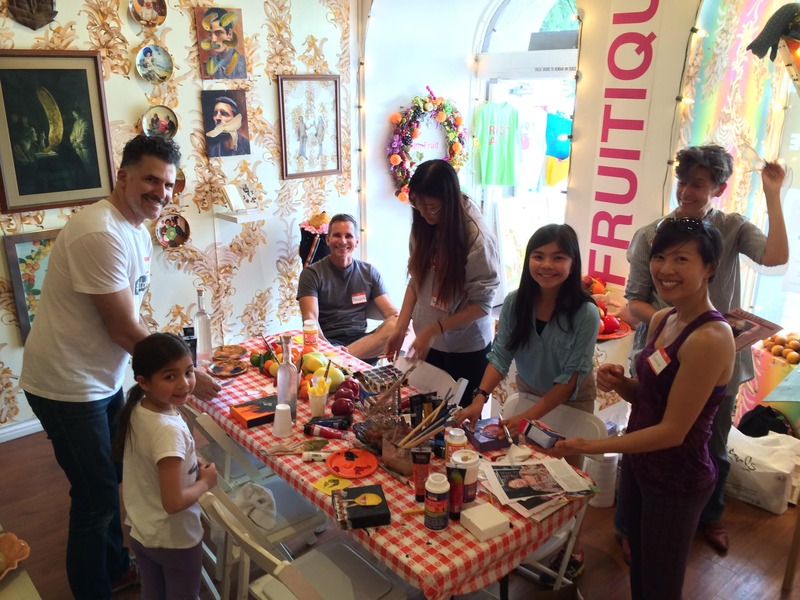 As part of the LA2050 project ArtsRestoreLA, Fallen Fruit created a pop-up retail store based upon Fallen Fruit commissioned projects. 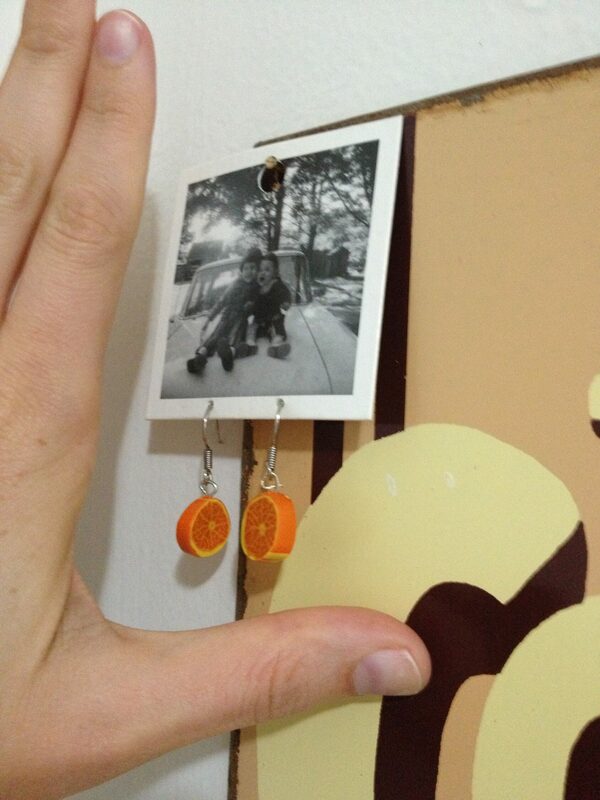 The project space called “Fruitique!” is a retail art installation where anyone can buy any thing in the installation. 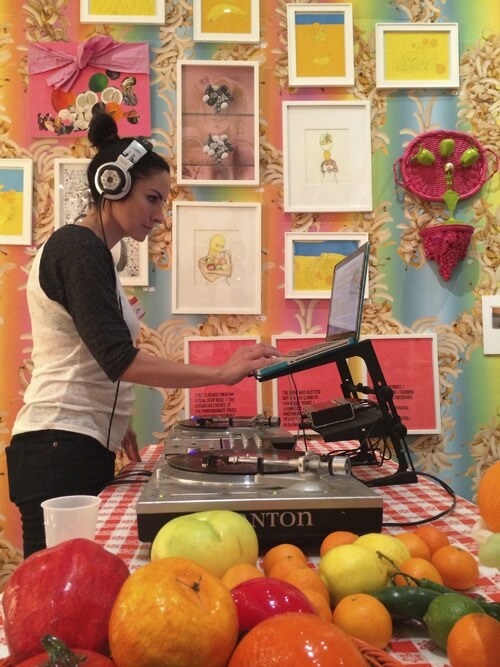 The curated space was themed around fruit as a subject and symbol and includes original works by 50 artists from Los Angeles and abroad. The Fruitque! was reviewed by The Los Angeles Times, The LA Weekly, Forbes, and more. Curated by Ellie Buttrose as a commissioned work for the HARVEST exhibition Fallen Fruit created a body of new works that focused on the history of Brisbane, Australia. Pineapple became the theme of the projects, as we learned that pineapple plantations are what founded that region of Australia about 100 years ago and introduced canned fruit to the world. 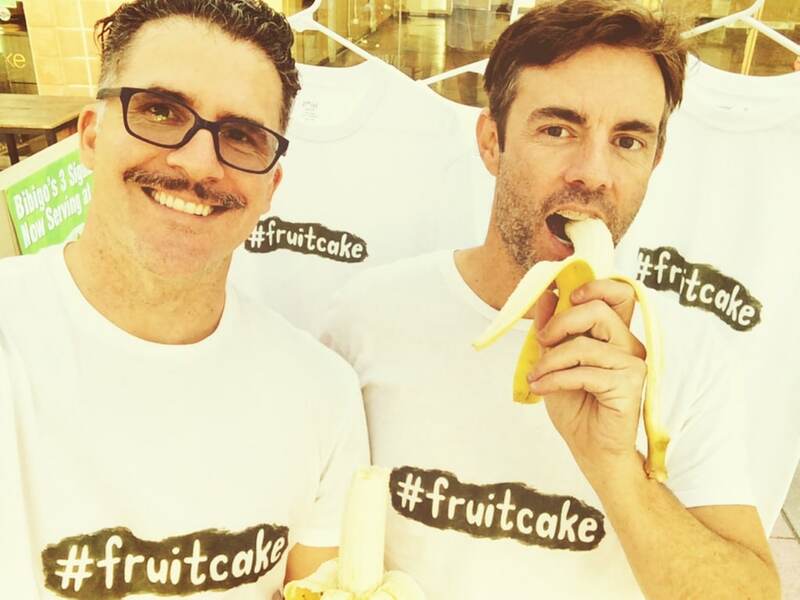 Legier Biederman wrote a terrific text piece about recent Fallen Fruit projects. 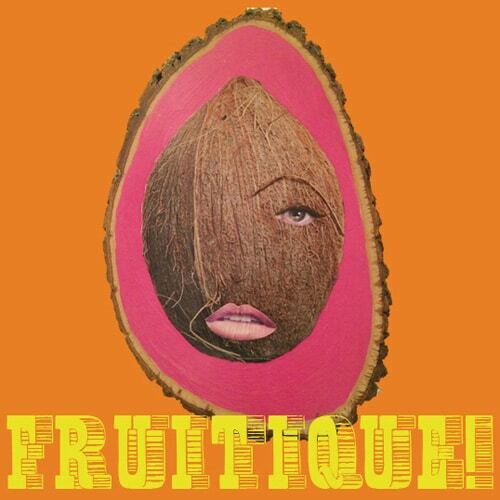 Focusing on The Hammer project called Fruitique! and also The Fruit Doesn’t Fall Far From The Tree for Atlanta Contemporary Art Center and Pelican Bomb for Prospect 3+. The layout is stunning! The writing is on point! Like their local fruit cartographies, much of Fallen Fruit’s work examines issues of urban space and community and incites public participation, as in their public fruit jams or lemonade stand at the 2013 Athens Biennale. They are also known for their photographic portraits, experimental documentary videos, and curatorial work. In these diverse projects, fruit serves as a filter to examine distinct places, official and unofficial collections, archives and histories, as well as issues of representation and ownership. 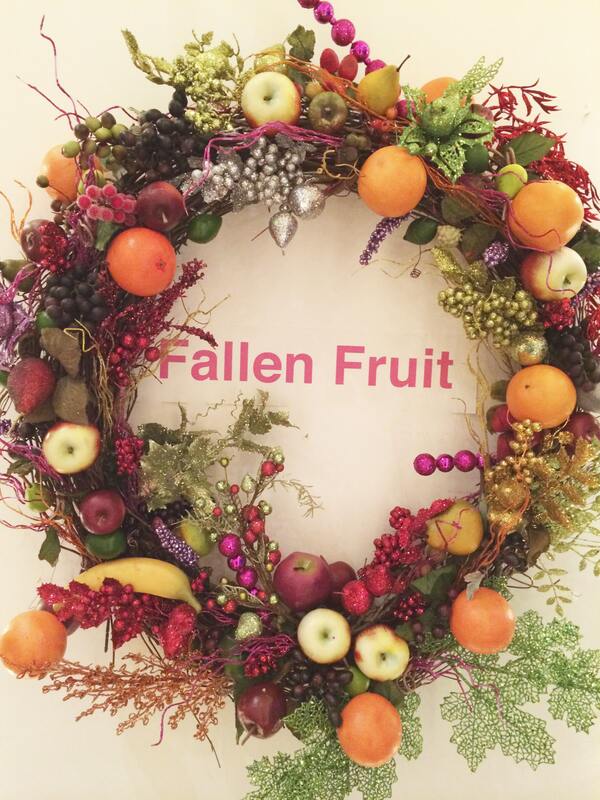 Fallen Fruit is an art collaboration originally conceived in 2004 by David Burns, Matias Viegener and Austin Young. 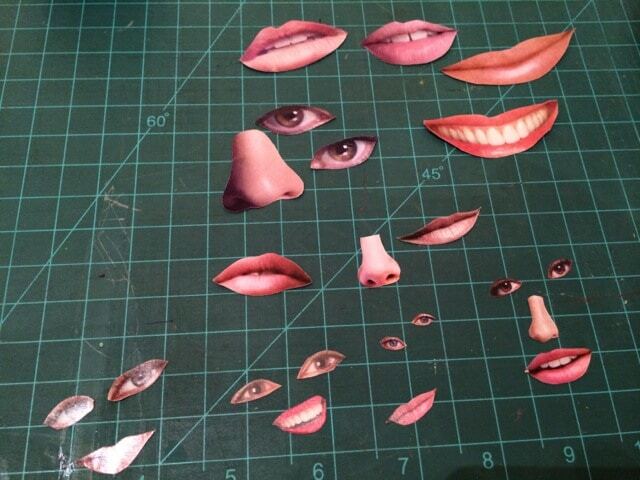 Since 2013, David and Austin have continued the collaborative work. By re-imagining public space, we aim to make fresh fruit available to everyone, everywhere. 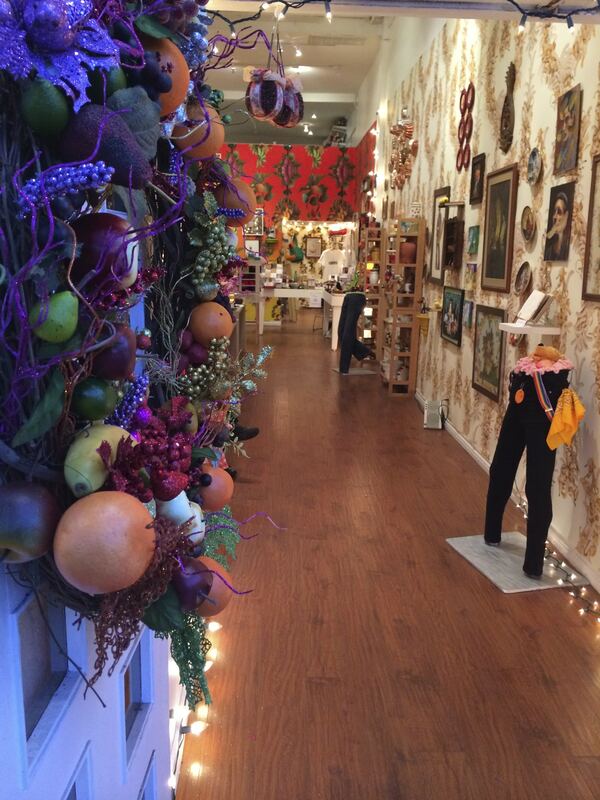 We have Fallen Fruit prints, gift items, and fruit art by our community of incredible artists! our online store is HERE. The Garden of Eden at Fruitique! GARDEN OF EDEN, which is loosely themed with animals and fruit. Please join us! Opening reception for the artists on Sunday, April 27th from 1pm to 4pm. and Juicing courtesy of HUROM Slow Juicers! Created in conjunction with the Hammer Museum’s Arts ReSTORE LA: Westwood in Los Angeles, CA. 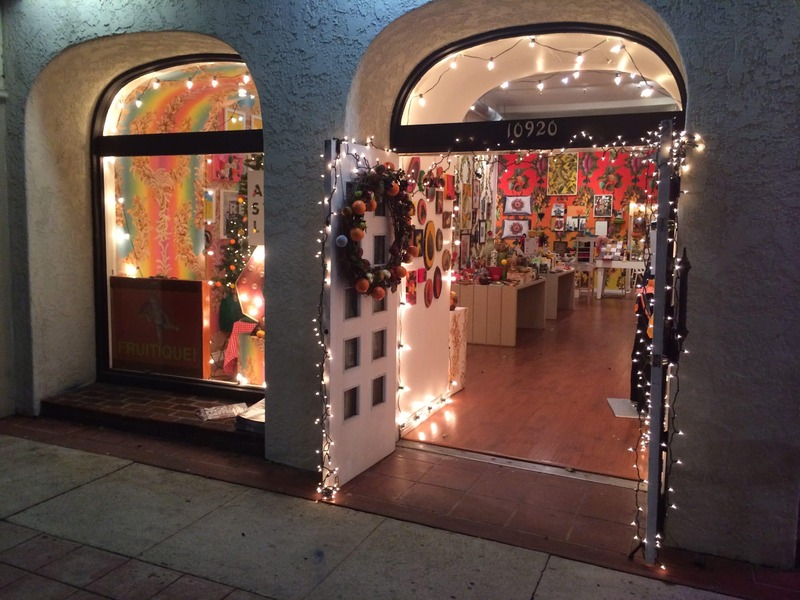 The “Fruitique” is a collaborative retail consignment store and art installation space that functions as Fallen Fruit Headquarters and also a retails boutique for fine art and unique gifts. Regularly scheduled public participatory events are programmed free of charge and everyone is welcome to participate!! 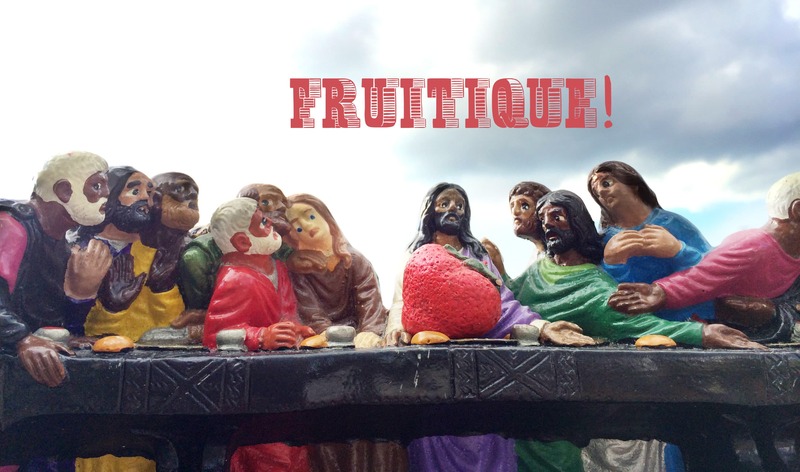 Boutique + Fallen Fruit = Fruitique! 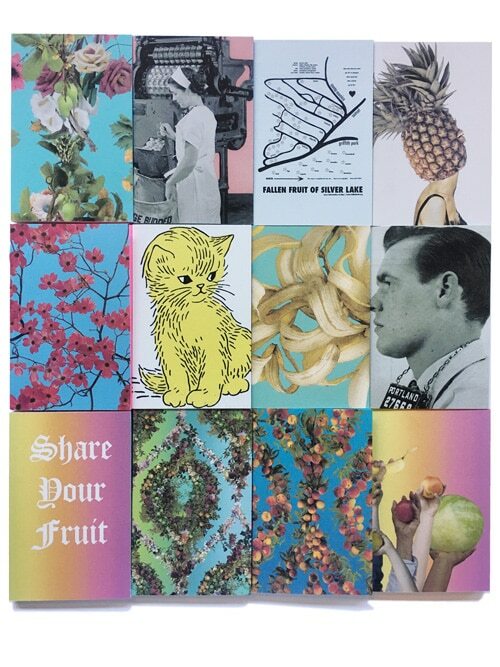 Fallen Fruit is an art collaboration originally conceived in 2004 by David Burns, Matias Viegener and Austin Young. Since 2013, David and Austin have continued the collaborative work. 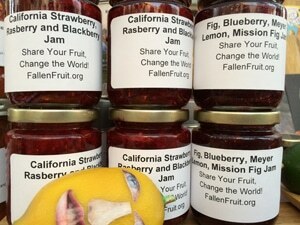 Fallen Fruit uses fruit as a common denominator to change the way you see the world. By always working with fruit as a material or media, the catalogue of projects and works reimagine public interactions with the margins of urban space, systems of community and narrative real-time experience. Fallen Fruit’s visual work includes an ongoing series of narrative photographs, wallpapers, everyday objects and video works that explore the social and political implications of our relationship to fruit and world around us. 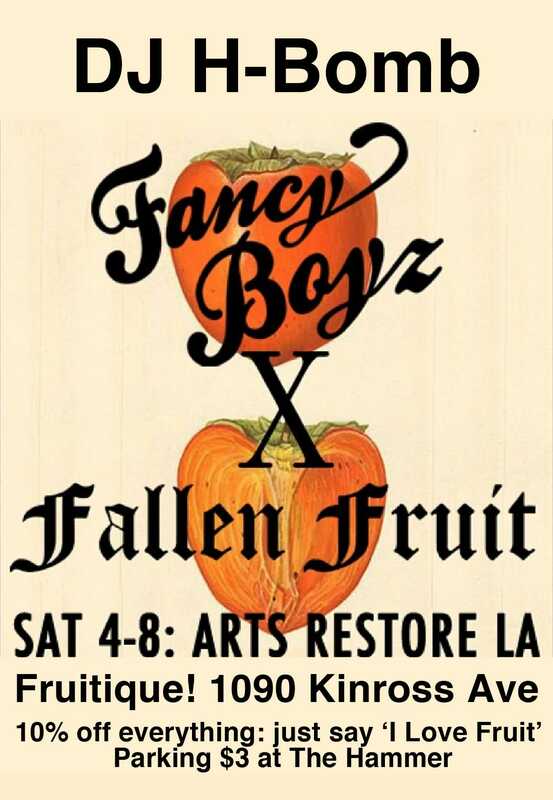 The Fallen Fruit Factory is a public participatory art project that allows the public to collaborate with Fallen Fruit and contemporary artists to create fast-art pieces. The Factory is co-hosted by a contemporary artist and Fallen Fruit and creates an immersive art experience where the public can participate in making works of art. 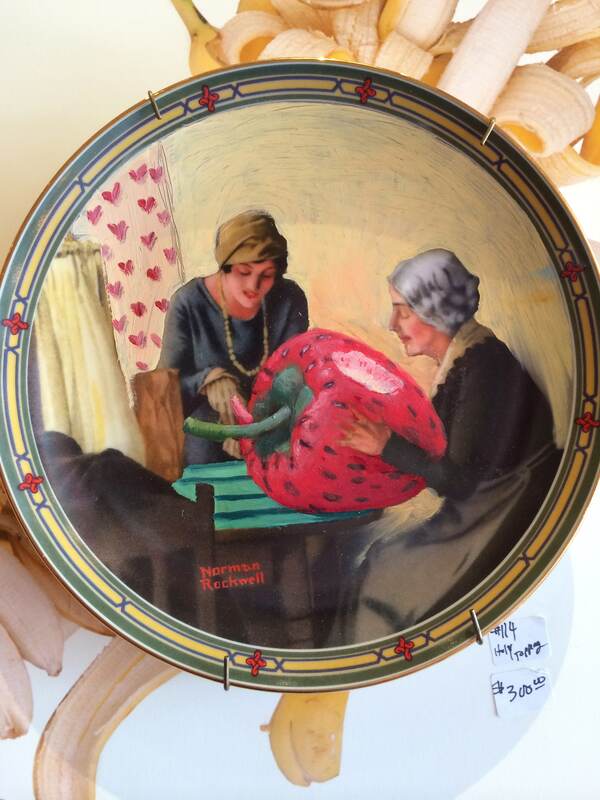 In exchange for working on Factory art projects, the public gets Fruit Dollars redeemable for Fallen Fruit or Factory art at the Fruitique! 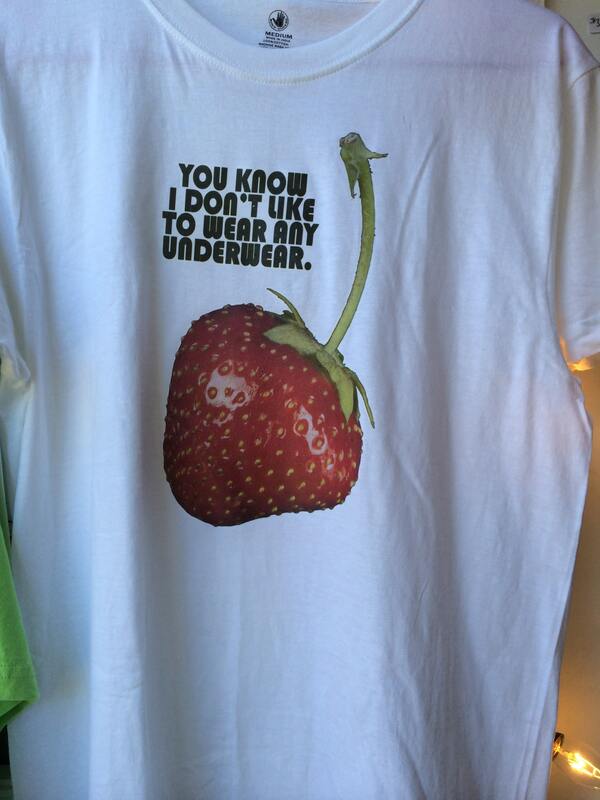 or online at the Fallen Fruit store. Projects are always group-authored, meaning there isn’t one person who creates each individual work. 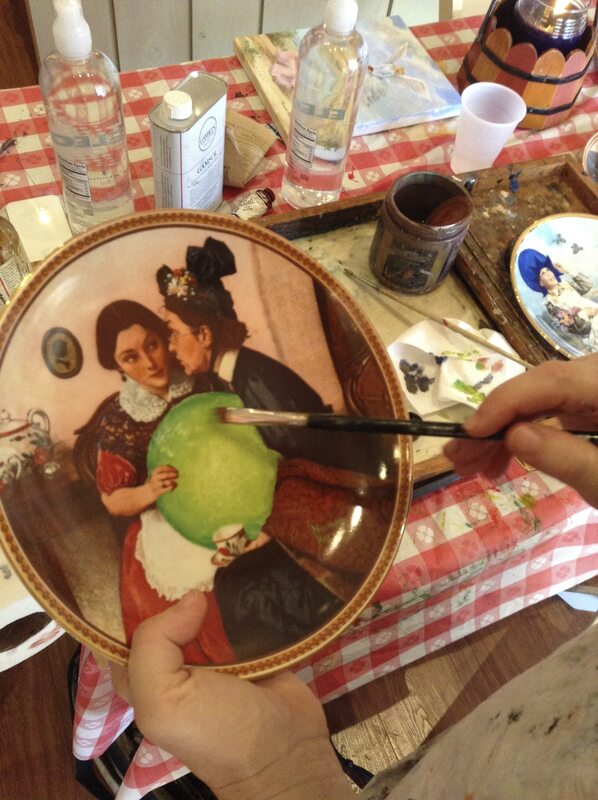 Often the works are inspired both by the guest artist and Fallen Fruit, but it is the stranger or passerby who sets the color, tone, or unique dimensionality of each piece. No two works of art will be the same! 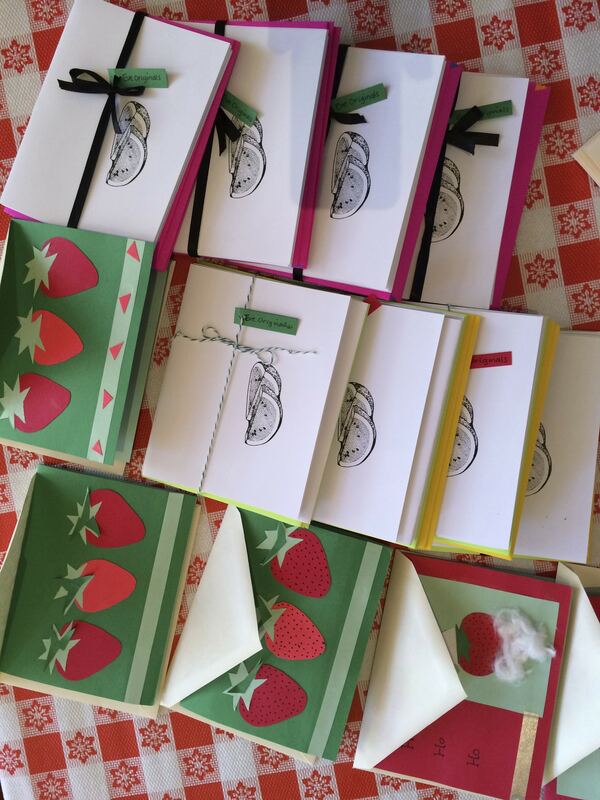 Join Fallen Fruit at 10920 Kinross Avenue this Sunday, December 15 from 12–4PM for another Fallen Fruit Factory! Thursday, Friday,Saturdays through Nov. 23rd. 4-8pm join us for Happy Hour! 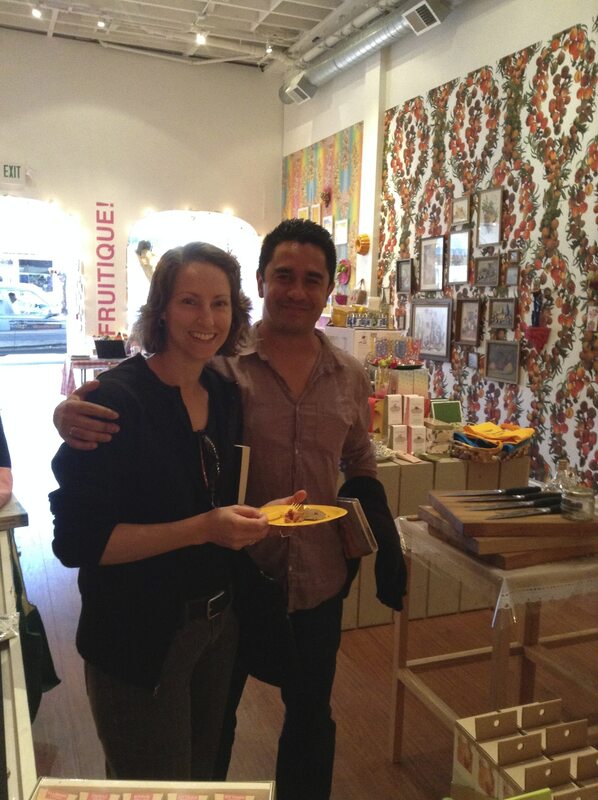 at FRUITIQUE! In exchange for a cold glass of lemonade, participants will be asked to create self-portraits using black ink markers on lemons and to share stories of sadness and disappointment, or happiness and positive self-reflection. 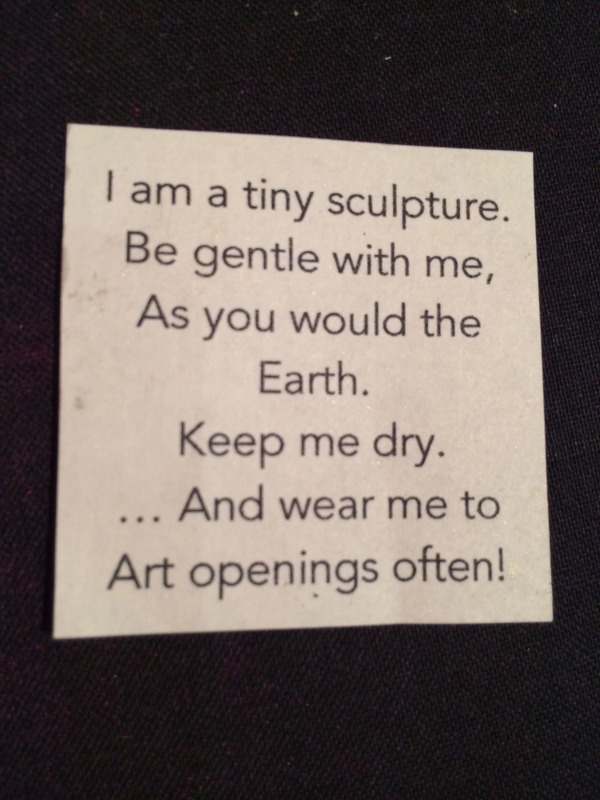 Become a collaborator in creating our project for The Hammer Museum. 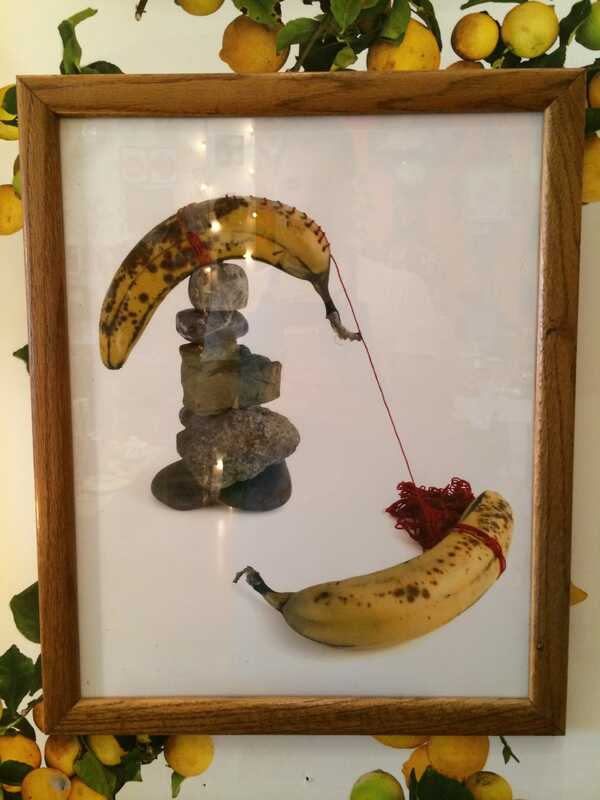 WE ARE TRANSMORPHING your unwanted or found OBJECTS INTO MAGICAL ART OBJECTS through a process called THE FALLEN FRUIT FACTORY. 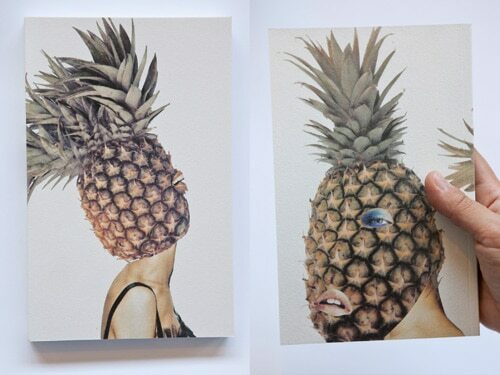 All original fruit themed artworks are for sale at low prices. Any Fruitique! purchase enters you to win a Hurom Slow Juicer! Courtesy of Hurom/Roland Inc. Come visit! Here’s a map to see all the Arts REstore vendors. 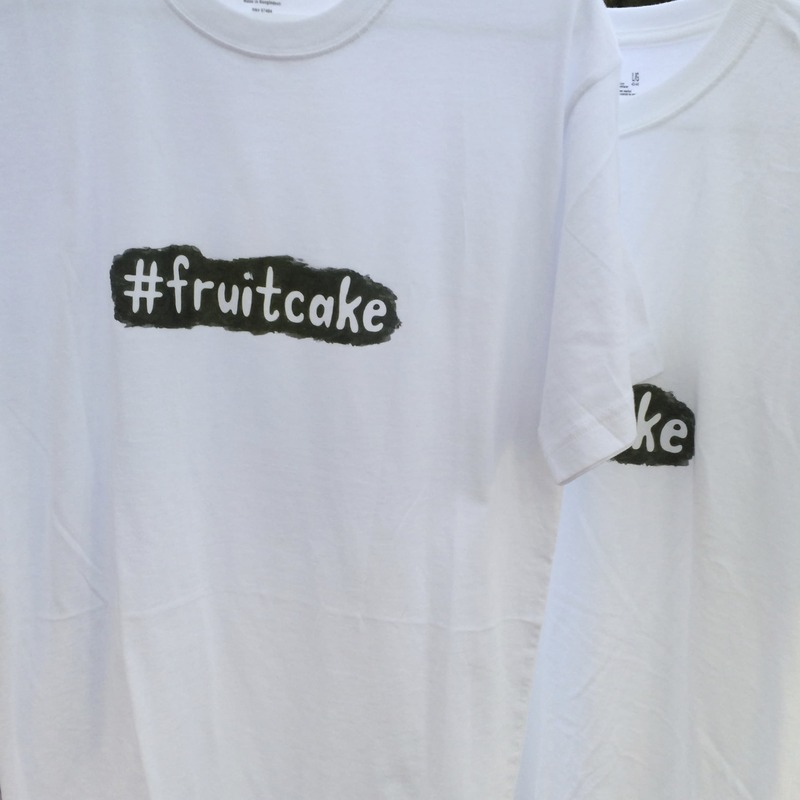 Fallen Fruit (David Burns and Austin Young) collaborate with artists to create a site-specific art installation that functions both as an exhibition and also as a retail store open to the public. The project combines curated and consigned art works into a Fallen Fruit installation project using our fruit wallpaper as a common ground. 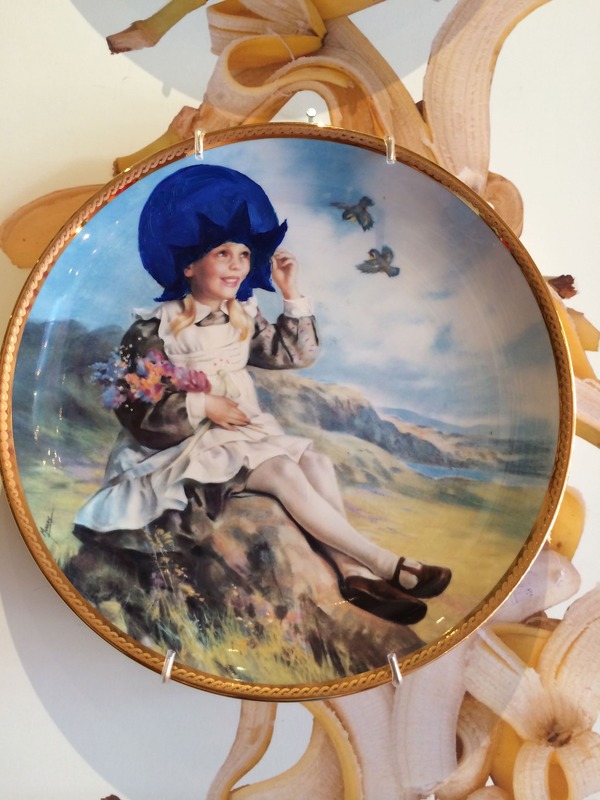 The public is invited to participate at the ‘Fallen Fruit Factory’ and re-imagine found objects (hand-picked items from thrift stores with fruit as a theme) into art objects that explore the margins of the every day and contemporary art. 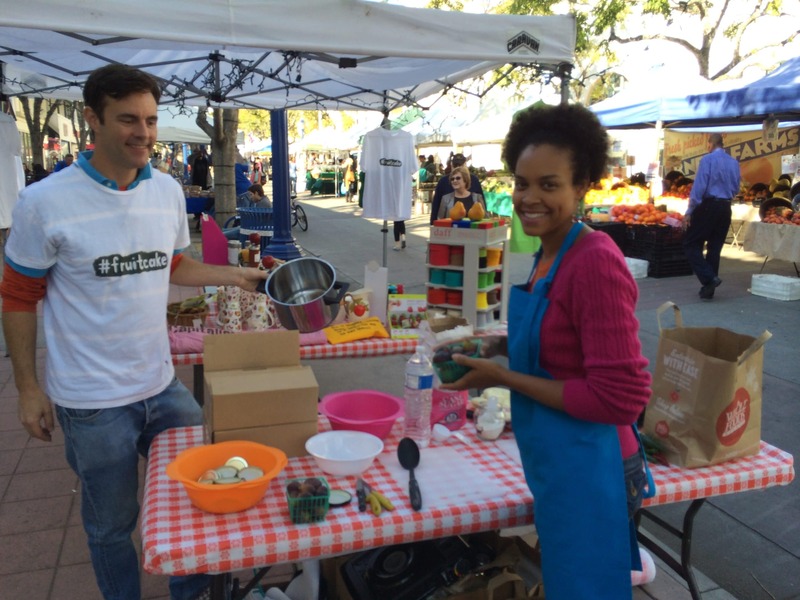 Win a Hurom Slow Juicer provided by Hurom/Roland Inc.
Arts ReSTORE LA: Westwood is organized by the Hammer Museum as part of the Goldhirsh Foundation’s citywide LA2050 initiative. 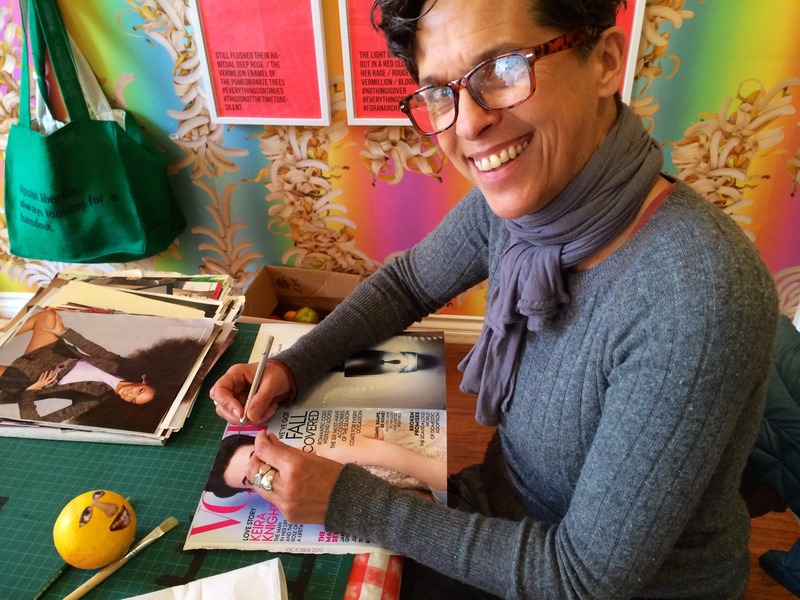 Arts ReSTORE is made possible by a major grant from the Goldhirsh Foundation and has received significant funding from UCLA. Stoneview receives Public Art Network Award! 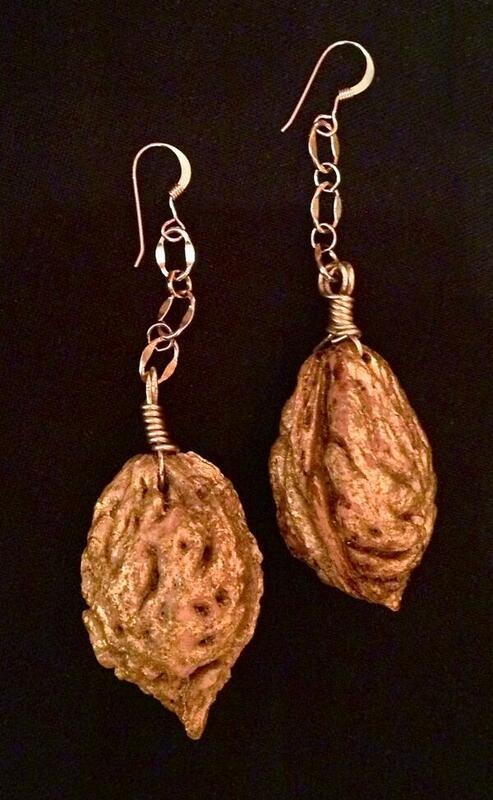 Fallen Fruit of New Orleans- Endless Orchard! The Endless Orchard at Manual Arts High School!